For more than 15 years, iRobot has been a leader in the robotic floor cleaning space, with the Roomba robotic vacuum (starting at $343 on Amazon), the Scooba floor scrubbing robot ($599 on Amazon) and the Braava floor mopping robot ($299 on Amazon). 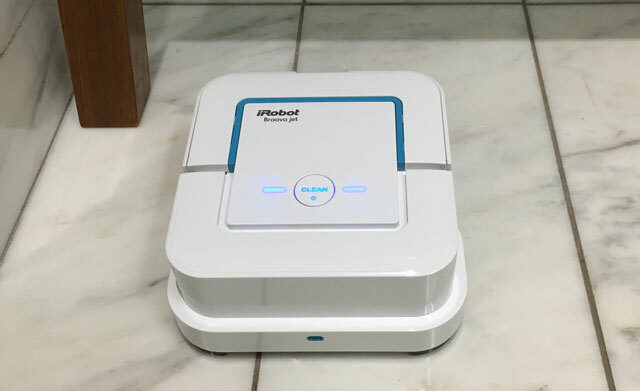 Today, the company is making its cleaning bots more affordable, with an inexpensive new mopping robot, the $199 Braava jet. The Braava jet is designed for use in kitchens and bathrooms and is scaled down not only in size to fit in tight spaces but also in features. When you place the Braava jet in the corner of a room, it will clean up and to the right, navigating around obstacles and checking an internal map it creates to ensure it backtracks when necessary to clean the whole space. You can even create a virtual wall so the Braava jet won't wander into another area. But, the basic bot doesn't have the more sophisticated navigation capabilities of iRobots other robotic cleaners, enabling it follow beacons, and it doesn't have a base to return to for recharging. The basic bot will clean between 150 and 200 square feet, a small fraction of the 350 to 1,000 square feet the bigger Braava can cover. But that's plenty for most bathrooms and even many kitchens when you consider you're just cleaning the open floor space — subtract the cabinets, sinks and the tub. To operate the Braava jet, you will need one of four types of cleaning pads: a dry sweeping pad, a damp sweeping pad, a wet mopping pad or a reusable microfiber pad. The for the last three, you'll need to fill the Braava jet's tiny tank with water, too. For sweeping, the bot will make a single pass through the room. For damp sweeping, the bot will take a double pass. And, for wet mopping, the bot will take a triple pass. While the three passes will clean small stains and spills, you'll need to removed caked on food. Detergent is integrated into the pads and it mixes with the water the robot sprays for the perfect amount every time. And to ensure the bot doesn't dampening rugs and upholstery, tthe bot won't spray until it's checked to ensure the path is clear. 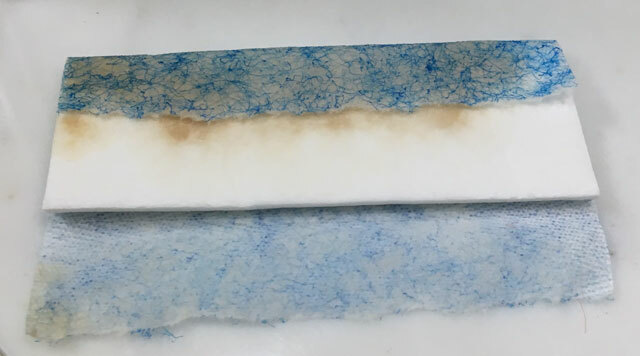 The pads have two layers so that the dirty liquids are absorbed and locked away, not smeared all over the floor. And when the cleaning is done, there's even a handy eject button, so you don't have to get your hands dirty when you change the pad. It's recommended you throw away the pads after each use. The iRobot Braava jet goes on sale today for $199 at iRobot.com and will be available on Amazon and other retail sites in the beginning of April. Packs of 10 pads will be available for $7.99 and the microfiber pads will be available in a two-pack for $19.99. For more ways to clean without lifting a finger, check out our guide to 5 gadgets that do the cleaning for you. I have streaks on my tile floor after using my brava, any ideas I can try that might help.